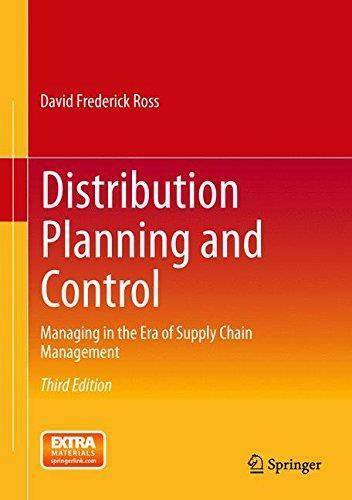 This third edition provides operations management students, academics and professionals with a fully up-to-date, practical and comprehensive sourcebook in the science of distribution and Supply Chain Management (SCM). Its objective is not only to discover the roots and detail the techniques of supply and delivery channel networks, but also to explore the impact of the merger of SCM concepts and information technologies on all aspects of internal business and supply channel management. This textbook provides a thorough and sometimes analytical view of the topic, while remaining approachable from the standpoint of the reader. Although the text is broad enough to encompass all the management activities found in today's logistics and distribution channel organizations, it is detailed enough to provide the reader with a thorough understanding of essential strategic and tactical planning and control processes, as well as problem-solving techniques that can be applied to everyday operations. 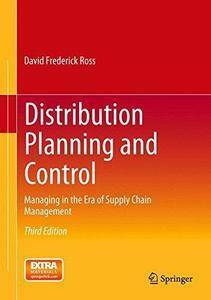 Distribution Planning and Control: Managing in the Era of Supply Chain Management, 3rd Ed. is comprised of fifteen chapters, divided into five units. Unit 1 of the text, The SCM and Distribution Management Environment, sets the background necessary to understand today’s supply chain environment. Unit 2, SCM Strategies, Channel Structures and Demand Management, reviews the activities involved in performing strategic planning, designing channel networks, forecasting and managing channel demand. Unit 3, Inventory Management in the Supply Chain Environment, provides an in-depth review of managing supply chain inventories, statistical inventory management, and inventory management in a multiechelon channel environment. Unit 4, Supply Chain Execution, traces the translation of the strategic supply chain plans into detailed customer and supplier management, warehousing and transportation operations activities. Finally Unit 5, International Distribution and Supply Chain Technologies, concludes the text by exploring the role of two integral elements of SCM: international distribution management and the deployment of information technologies in the supply chain environment. Each chapter includes summary questions and problems to challenge readers to their knowledge of concepts and topics covered. Additionally supplementary materials for instructors are also available as tools for learning reinforcement.